Adoption is loss. It as a beautiful gift. An opportunity. A true joy! It is also pain and hurt and difficult attachment. How can the same little girl who clung to me as a one-year-old push me away so vehemently as a 13-year-old? I wouldn’t change one thing about my decision to adopt. She makes me a stronger, wiser, more patient, grace-giving, truth-telling parent. When we finally wind our way through all the difficulties, she will be a resilient, thoughtful, grace-understanding, truth-telling young lady. Those brown eyes are a treasure. Those brown eyes changed my life in painfully beautiful ways. There are many things I wish I’d known before those brown eyes joined my family. Check out a few hints that can make a big difference for a small child who has experienced hard things. Keep her in a wrap or front pack—physically attached to mom as often as possible. Play silly little games that require connection by looking into each others eyes. Snuggle, read, and play even more each night before bed. Create your own special routines that make turning out the lights a little less scary. Sucking on a bottle helps her learn about calm and safety. I wish I hadn’t encouraged my little one to give up her bottle like a “big girl”. We would have snuggled with that baba for many more nights just so she could calm herself with the sucking and safe snuggling. As she grew, I quickly learned that raising my sweet brown-eyed girl the way I was raised would not work. The wounds are so deep. Kids who have experienced hard things need a different approach to parenting. Keep her physically close by going on walks, baking cookies, taking her to riding lessons, watching movies. Anything that allows us to be together with a little less conflict. Look for opportunities to make eye contact with soft eyes that tell her she is precious—sometimes even when she isn’t acting so precious. Read together. Sometimes I read to her. Sometimes we listen to a pre-recorded book. Sometimes we each read our own books in the same room by the same fire. She may be 14, but I still give her a hug good night and take a moment before lights out. I am trying to make 10 minutes of alone time twice a day for each of my kiddos. Those of you with busy families know just how difficult that can be. Parenting my brown-eyed girl is beautiful, painful, and I wouldn’t trade it. It is not the mother-daughter relationship I enjoy with my mom. However, when my strong, precious daughter takes a step forward, it is a moment of great rejoicing in my momma heart. Can’t wait to see what she becomes. What strategies do you use to help your teen? Several days ago, I walked into my son’s bedroom and snapped this photo of the stack of books he brought home with him from Adora. I wondered briefly if this was the reading list of our high school freshman or an MBA student home from college. These books weren’t assignments for him over the break but rather books that he has already read (most of them anyway) and chose to bring home to share with our family. What an incredible set of books to learn the skills necessary to build healthy relationships that produce personal and organizational excellence in families, churches, schools and businesses. I paused to recall with amazement the things that God has done over the past few months to cause this particular set of books to be collected in our home. And, I sighed with the reassurance that He is clearly at work to heal and strengthen our family as He draws each of us more closely to Him and to one another through the work of the Adora Community. I think it started this fall with Donovan’s assignment to read, report on, and discuss the personal application of The Entitlement Cure by Dr. John Townsend. This was followed by another assignment to do the same with The Ideal Team Player by Patrick Lencioni. (Both of these are outstanding books that I highly recommend.) Donovan’s curriculum for the Fall trimester was designed specifically for him by the Adora staff as they assessed his needs for both educational and relationship development. And, as he progressed through the trimester, Donovan actively participated in choosing additional books. The approach of the Adora team in applying Trauma Healing-Based Learning reminds me of Amazon founder, Jeff Bezos’, advice to be stubborn and “incredibly relentless” in pursuing vision but flexible on the details along the way. They continually search for the methods and materials that work best for each student at each particular stage of their development while remaining focused on the vision to help each student heal and connect with their families so they can return home as soon as they are ready. But, getting the student in Adora’s residential program ready to come home is only part of what is required. Those at home have to get ready too. Typically, the student who comes to Adora for help isn’t the only person in the family who needs to change for the family to be healthy and function as God intended. This brings me back to the stack of books and my encouragement in what God is doing. 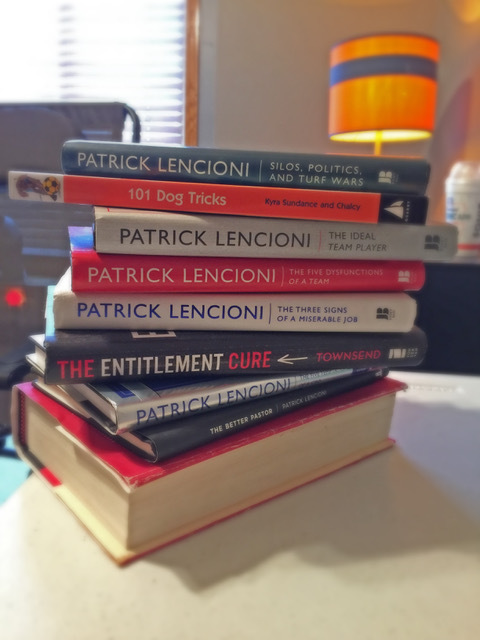 Donovan’s choice of books by one of his favorite non-fiction authors, Patrick Lencioni, wasn’t all about the material. He chose to read more writings by Lencioni after learning that I was also using this author’s books at work. Donovan intentionally asked to read these books and to bring them home so that he could connect with me and strengthen our relationship which has been strained over the past few years. I cannot adequately express here the significance of this step he took and God’s grace in working through normal circumstances to bring about His work of connecting Donovan and me. Wow! But the evidence of God’s loving providence in our lives doesn’t end there. By God’s grace our family continues to move forward doing our best to follow what Townsend calls the “Hard Way – The habit of doing what is best, rather than what is comfortable, to achieve a worthwhile outcome.” We’ve a long way to go on this journey, but our family as a whole and as individuals are seeing God at work to heal us and mature us for His glory through the work of good authors and the ministry of the Adora Community. We are thankful. About a year ago I wrote a blog post here talking about the benefits of playing the Pokemon Trading Card Game that I have seen with our students. You can find that post here. I still stand by the positive benefits of the game. We have met so many fantastic people because of this game. Our students that play the game have developed great friendships with each other and love the opportunity to travel and meet new people. Each time we travel for a tournament they practice letting go of control, being vulnerable with strangers, and fair play for the sake of having fun. However, there is something that needs to be said about the Pokemon Trading Card game. It can be highly addictive and sometimes it can be a numbing device that people use to hide from the reality of their junk. This is a hard topic for me to write about as I am as guilty of this as anyone. Heck, as I’m writing this my headphones are playing Pokemon strategy podcasts so I can stay up to date on the game. Our learners are currently exploring the book “Daring Greatly” by Brené Brown. In this book she outlines several strategies that people use to avoid hard things. One of the things people use to avoid hard things is numbing. We often fill our lives with things or take our hobbies past the point of passion in order to cover the hard feelings we have. First of all, let me start by saying that there is absolutely nothing wrong with having a hobby, being passionate about it, and wanting to do your best at it. Having a hobby that you are passionate about is like having a wellspring that you can visit when you become weary. A place you can drink a cool refreshing drink of joy and happiness, refreshing and life-giving. What begins to be toxic to your life and living it abundantly is to take that wellspring that gives you joy and sticking your head under the water and never coming up. Hiding under the surface of the water that once was cool and refreshing might seem like the perfect solution to your life’s problems. After all, it’s comfortable and even fun there and the world out here is tough. The problem is that cool refreshing water that once offered a recharge from life’s struggles is now a thick syrup and the bubbles that rise to the surface tell a story of someone lost beneath the surface. One of the biggest signs you have crossed over from passion to obsession and numbing is that your hobby takes up most of your conversation and thought. This is a really thin and scarily translucent line that is easily crossed especially if the hobby, like the Pokemon Card Game, has some aspect of competition in which success can be strived for. Our learners, and sometimes adults have fallen into this invisible trap when a big event is looming in the distance. Our conversation slowly becomes inundated with references to the game and questions about what to do when playing. It can be really abrasive to those around us that do not enjoy the game as much as we do. Another sign that the water of the wellspring now resembles the thick, crude sludge of numbing and addiction is that something that used to bring passion, energy, calm, and joy, now brings about stress, indecisiveness and a constant need to be doing that activity. I would like to give an example from our lives here. 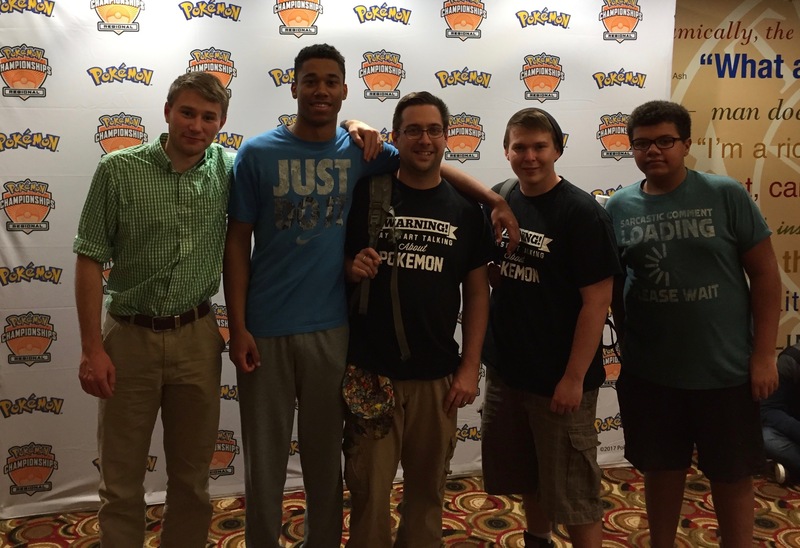 At the end of January some of us were competing in the Dallas Regional Championships of the Pokemon Trading Card Game. As this was the first big event since last year’s Intercontinental Championships and, very likely, the last large event before this year’s Intercontinental Championships, we decided to take about 2 months to prepare. During the beginning of this time all of us spent time having fun, goofing around and generally enjoying playing Pokemon while keeping the competitive nature of the tournament in mind. As the day of the tournament approached one of our students was stressing so much about wanting to do well at the tournament that even 4 days before the event, he hasn’t decided what deck he was going to play at the tournament and wanted to play everyday as much as possible because he wanted to practice as much as possible. At the beginning of the year we, as staff, also made sure to put limits on how much the students were playing and even talking about Pokemon in order to try and protect them from addiction and using Pokemon as a numbing tool. The particular student mentioned in the previous story constantly tries to bend this rule as much as possible. Not accepting limits placed on an activity is sure sign that you are quickly approaching addiction and leaving the realm of simple passion behind. How do we combat hiding under the water and using addiction and numbing to from problems when we really like the particular activity that it isn’t harmful like drugs or alcohol. Well, setting hard limits can be a good remedy to this. One of the things we did here was limit Pokemon to three days a week and talking about Pokemon to the days and times when we are playing Pokemon. Keeping the boundaries for the kids has been hard but has been beneficial in keeping the issues of addiction far from our activity and allows us to head off particular issues and problems of addiction and numbing when the occur rather than have them fester and become large problems. Pokemon has become a source of fun, enjoyment, and passion to our students and has taught them many social and emotional lessons. And as long as it does not become a source of numbing and addiction will continue to be an activity that the students and I can enjoy growing together through. I decided recently to shave my head. Since I’ve been follicley challenged for many years, that may not seem like a big deal. But, over the past few weeks as I considered taking the step from cutting my hair using the shortest guard on my clippers to shaving it off with a razor, the anxiety within me continued to grow. “What’s the big deal?” I kept telling myself. 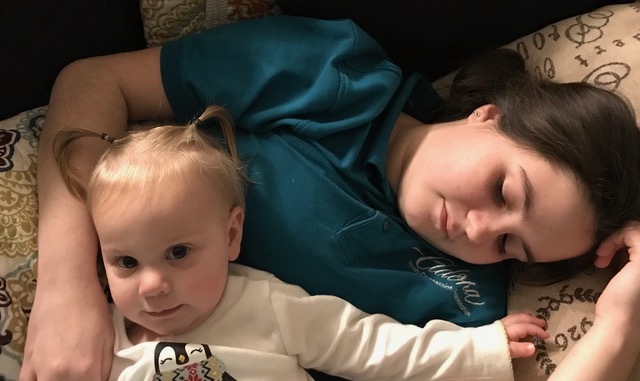 “It’s a difference of less than an eighth of an inch of hair and very sparsely populated hair at that.” I began to realize that somehow those tiny pieces of hair provided me with a level of security and comfort. “Will I look like some handsome bald celebrity or more like Mike Myers’ or Dr. Evil? What will those people who don’t realize that their playful bald jokes often stir up the insecurity within me have to say now?” All sorts of questions and nerve-racking feelings like these ran through my mind as I contemplated whether I could actually take this step. So, I talked to other men who look good with their shiny scalps and began working out the practical details. What’s the best way to shave my head? How long does it take? How often do you shave? What razor should I use? But, the technical challenge of shaving my head wasn’t really the issue. My fear of being vulnerable and, ultimately, my lack of courage to try something new and possibly fail were the real problems. And because of that, I knew that it was important for me to shave my head even though it really scared me. So, I turned to someone I trust completely. My wife. I needed her to reassure me of what I knew intellectually to be true but just wasn’t feeling emotionally. She told me that I really wouldn’t look much different than I do after I cut my hair with clippers and that my hair would grow back in a few days anyway if I didn’t like it. She told me she was sorry that some people might have comments that could hurt my feelings. And, she told me without even saying the words that she would love me just the same with or without any hair on my head. I remember watching our first Demonstration of Growth and Learning at Adora. Most of the kids were wearing a hoodie or a jacket while they presented what they had learned during the trimester. The Adora team explained to me and my wife that the jackets make the kids feel safer. This thin layer of fabric, like my thin layer of hair, somehow provided comfort and security and removing it while presenting to a group of people they knew they could trust was still frightening to them. Without their jackets, they felt vulnerable and afraid. I didn’t get it then as much as I do now. I better understand now that even though their minds may tell them that at Adora they are surrounded by teachers and other students who love them, their traumatic experiences of the past and their current emotions are real and powerful and are making them afraid and insecure. I so appreciate how the Adora team comes alongside these kids from hard places to help them grow and mature just as my wife came alongside me and supported me when I lacked the courage to be vulnerable and try something new. I’m confident that just as God is slowly and steadily changing this bald, insecure, middle-aged man to make me a more confident and courageous risk taker through the support of the loved ones in my life, He is also using the well-trained staff at Adora to heal these young minds and hearts from the challenges resulting from the trauma in their pasts and preparing them for exciting futures that He has planned for them. 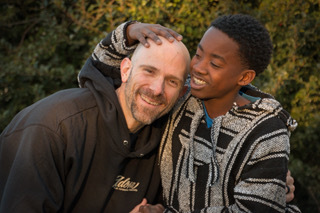 May He give them the strength to be courageous and vulnerable so their gifts and abilities-He has given them-shine as brightly as the sun off my now cleanly-shaven head. No text message had ever brought so much comfort. The evening we dropped our kiddo off at Adora was quite possibly the most emotionally contradictory moment I’ve ever had to push through. When my husband and I drove away that night, I was surprised that there were no tears. All the years of trauma and grief that led us to the decision to move our child from our home and place him at Adora – all the days of purchasing supplies in disbelief and saying some goodbyes to family – all the hours spent secretly crying in my bathroom – led me to believe that I would be an absolute wreck as soon as I closed the truck door. The reality, however, was a shock. I felt relief. Relief that the drive home would not be spent with our child verbally and physically abusing us. Relief that our dinner meal would not be spent interrupted by food and dishes being thrown in anger. Relief that the hours between 10pm and 6am would not be spent managing, in exhaustion, a child who would not sleep. And then I felt guilt. So, when the text message from our child’s House Mom came just as we were ordering dinner, the questions quickly receded and my anxiety decreased. And I chose to believe it. It was immensely comforting to receive several updates that evening as our child settled in to play a board game with another student, to attempt to impress others with knowledge about anything and everything, to quickly change out of an outgrown, torn up, smelly pair of “comfortable” shoes into a new pair that he refused to wear just hours earlier. There were comical text messages. There were questions to quickly establish our child’s credibility. “Does your child know Slovakian?” Um. No. Only a handful of words from the back of a work of fiction. Over and over we have been so touched, impressed, and comforted to bear witness to the amount of knowledge, compassion, and skill the staff at Adora so humbly operate with. And I can say, now that some time had passed, they DO know what they are doing. Each and every challenge my child brought them has been met with wisdom, caring, and even comedy when necessary. Our child is flourishing in the Adora community. Slowly, but surely, we see progress. There IS hope for these kiddos who seem to be so far down a path of destruction. Whose future seems so very impossible. Stimulate the amygdala part of the brain and out comes fear, aggression, and emotion. Some affectionately call it the “lizard brain” because there is only reaction. No logical response. Her request was for ice-cream. She just had pizza, salad, and soda. But when she heard “no” to ice cream, her brain told her I wasn’t meeting her needs. Sometimes needs and wants are confused—even for mature adults. How much harder is it for a child who does not trust dad and mom to meet her needs? Instead of accepting no and showing gratitude for a fun day with many treats, her amygdala kicks into gear. Screaming. Biting. Slapping. Scratching. Kicking. My tween makes herself throw-up. I gently hold her. I quietly promise to stay. I try to keep away from her teeth, her feet, her fingernails. But, I stay with my precious, scared child. It seems like she rages forever. No one is watching. Everyone is watching. I can only care about her. My reputation can’t be my priority. My comfort can’t be the important thing. My daughter needs me to be present for her in every way. Slowly she calms down. Slowly she relaxes in my arms. Slowly we reconnect. Quiet voice—almost a whisper—gives an anxious, angry child a different behavior to mirror. It is not an immediate fix, but a habit of calm can slowly help a child find a more peaceful existence. Gentle touch—Sometimes she doesn’t want any touch at all. Other times a pat on the back or holding a hand is needed. Reading the situation is the hard part. Stay—It is so tempting to walk away when she begins to rage. Instead I try to find a place to sit and I stay put. She may walk out of the room, but she comes right back (entangled attachment style). If I stay, she rages near me. If I sit and don’t get in her way, she rages around me instead of on me. Humor—Sometimes a giggle is all I have left. Never at the expense of the child. Usually at myself or a joke I tell. Gratitude—God gave me the greatest gift in my children. I love them with my life. They teach me many things everyday. I get to be grateful for them in each moment—the hard moments and the easy moments. A whispered prayer of thanks in the moment helps. Mom is a title that is hard earned. 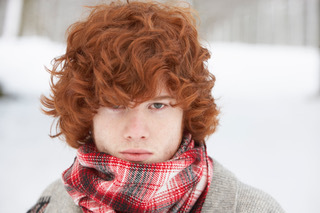 An teen who lives in the amygdala adds extra layers to the struggle. I become a better person each day I spend with my kids. More calm. More gentle. More humble. More grateful. I pray the same for you as you walk this path with your kids. What You Said. What He Heard. 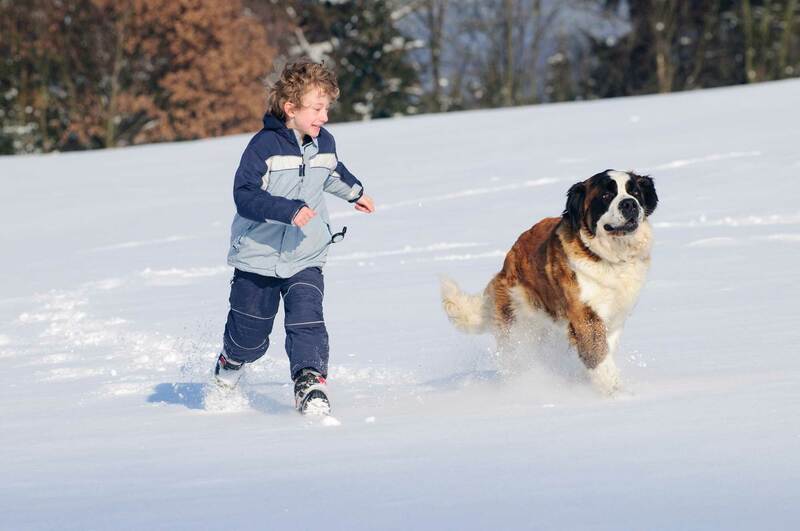 Not long ago, while sitting around with several of our dogs, one of the kids mentioned he didn’t want his dog playing with the St. Bernard because he didn’t want his dog to get all slobbery. As they started arguing I spoke up, “Some people don’t like dog slobber.” What the learner heard was, “I don’t like your dog.” It turned into an argument that led to the kid walking out. I had to reconnect in order to repair the relationship. We often think of scripts in relation to theater. However, the origin of the word ‘script’ is Late Middle English meaning “in the sense of something written”. Kids have scripts or emotional thoughts written on their brains from conception. That is not what you said or were even what you were thinking. Why do they hear such negative things when we mean the best? So, how do we change the script? It’s not easy. Every kid is different. We will mess up. But that is the beauty of reconnection. If we set the example by admitting when we were wrong and choose to reconnect, we have used the most powerful tool. When we chose carefully, what we say can become what they hear. Tennis is such a fantastic sport. It’s something you can do for your whole life, and with God’s grace, I hope to do just that. Tennis is a sport I brought to Adora almost before I started working here. I’ve been playing since I was young and tennis has helped me meet new people, develop a passion, learn to lose with dignity, and get some much needed exercise too! I was excited to begin tennis with the students here when I realized the incredible proprioceptive experiences that take place in even the simplest action on the tennis court. For those of you that aren’t familiar with the $64,000 word in the last sentence, proprioception is knowing how and where your body is moving through space and how much strength to use in a given motion. Tennis is a great example of this. You have to move your right foot one way, your left foot another, twist your shoulders a certain way, swing your arm just so, and flick your wrist to finish. Learning all of this is quite the process, but for children who have experienced trauma, it can be totally worth it. Proprioceptive activities can be difficult for trauma survivors because the right and left sides of the brain have trouble speaking to each other when trauma occurs in an individual. Using both the right and left and left sides of the body as well as being able to use both the creative and analytical sides of the brain can be affected, but that is a subject for another blog. 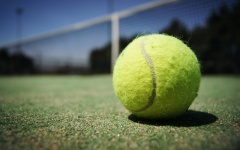 Tennis is an activity that forces the person playing to use both sides of the brain. When one is learning or playing tennis, using both sides of the brain is integral to success. Your feet need to move in certain ways in unison with synchronized movement of your hands, shoulders, torso, head, and even eyes. Now, small refined muscle movements will take plenty of time and practice to make them excellent, but we aren’t talking about the end result, we want to focus on the process. It’s important with tennis, or any proprioceptive activity, to remember to not focus on the outcome but the process. It’s also important to remember to take things extremely slow and to either praise (or self praise if you are doing this on your own) every single small success. Kids, and us “well adjusted” adults too, tend to focus too hard on the end result and if “perfection” isn’t reached quickly lose interest and get discouraged. Remember, process over product. Proprioceptive activities are HARD. Tennis especially. If tennis is not interesting or fun for you or those you care about, please find some sort of physical activity to do together. Proprioceptive activity can be immensely healing for individuals from hard places, but, as immensely powerful as it can be, time together can be much more powerful. Also, if neither of you have done something like tennis before, trying something new and potentially embarrassing can help break apart some of the tension you both may be feeling. Please check out places like the United States Tennis Association or your local parks and recreation website to see where you can find local and even free tennis lessons for you or your family. Free lessons is where I started and can be a great way to try the sport without any sort of commitment, many free lessons will also help get you started with things like free rackets too! Several of our learners have been taken tennis lessons and have benefited from the proprioceptive activity and physical activity of learning tennis. Learning to hit forehands and backhands, serves and volleys have helped the young men grow both physically and emotionally as well as helped them grown and have something in common with each other. He didn’t come to America until he was eight years old. He lived on the streets in his first country. He saw things no child should see. Ever. This boy, our son, had no idea how to function in a family. Rotten food hidden in the bedroom. Stealing. Locks on cabinets. Physical fights. Sneaking out of the bedroom at night to find his sister. How did we get here? How do we love and protect this child while we love and protect the rest of our family? He is terrified and lives in fight, flight, freeze. We are terrified of his behavior. He must have a safe place to learn skills needed for life in a family. We must heal and learn new skills for helping this boy who has experienced such hard things. The painful decisions are inconceivable, yet must be made. It takes courage. 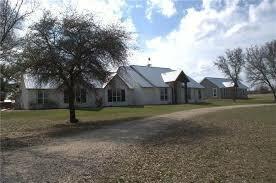 We are excited to send our first letter from our new home on 10 acres in Glen Rose, Texas. Kids have joyfully taken responsibility in different areas of our new home. Two learners have taken over caring for our pool. After training from a very kind, patient man, our kids affectionately call “Dennis the Pool Guy”, they check it each day, scrub the walls, measure the salt and chlorine levels, and swim daily. Today, as I write, they are in the pool for the second time. One of our more mature learners has even become a lifeguard, to help everyone stay safe. Caring for the chickens is a jurisdiction that is loved because the search for eggs is rewarding. We have three mature chickens and six chicks. One of our learners cleaned out the chicken coop, researched how to care for a sick chick, and in consultation with his very wise grandmother, helped the chick beat the odds. Another learner has cleaned out an area and prepared the ground for planting. She is growing vegetables and herbs from seeds and looks forward to planting them outside when they are ready and the weather permits. We are preparing the ground for fencing around the barn so we can move our beloved horses from Iowa. The “horse people” in our family are eager for AJ, Smokey, and Ford to join us as soon as we have a safe place for them to live and play. • Abandon perfection; pursue excellence. • Actively develop people smarts. • Identify and explain emotions underneath anger. Sound like adult skills? They are. As they dare to face the hard things, kids grow dramatically. Trauma Healing Based Learning includes academics. Learners spent time learning about the history and geography of Glen Rose and Texas when we first began the academic term. They studied everything from the Alamo, to lawsuits Texas filled against the federal government. This week, Renee Kim has rejoined our family to study integrity using To Kill a Mockingbird, historical figures, and The Crucible. Each will write a research paper. Next week we will begin “Doggone It” building relationships with and training dogs. We will read The Mathematicians Lament for a selected topics math credit. We can hardly wait for Dr. Caldwell to visit and challenge our science skills. We have added a new learner and have several families pursuing admission. We look forward to welcoming additional families to our community. Our financial situation is acute right now. We have cut our monthly expenses by nearly $45,000 a month by moving to our new home. But, bills still need to be paid. Kids need to eat. Payroll must be met. Supplies for educating learners using such creative methods must be purchased. Our goal is to add at least two new families a month during the next year. Each new family joining our community will allow us to become more financially independent and stable. Your support as we made the journey from Iowa and Texas has been invaluable. Thank you! Please consider how you might help us get through the next few months as we re-establish Adora in a new place. Pray for us, send families to us (be sure to share our video found here), and please support us financially.